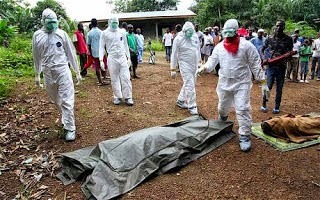 It is a fight to finish as World Health Organization(WHO) has now declared the ongoing Ebola outbreak in West Africa a dangerouse trends that need an "international public health emergency. In a seroiuse attempt made (WHO)has re-classified the ongoing Ebola Virus Disease outbreak particularly in West Africa a Public Health Emergency of International Concern (PHEIC). You will recall that this is the third-ever PHEIC designation the agency has issued.